Greensign Mineral RO technology provides double purification of RO + UV + UF, which removes even dissolved impurities such as chemicals and salts. The TDS controller maintains essential natural minerals, thereby providing 100% safe & tasty drinking water, which is ideal for consumption. Apartments, Automobile Industries, Chemical Industries, Foundries, Hospitals, Clinics, Hotels, Restaurants, Humidification, Villas, It Parks, Paper Industries, Pharmaceutical Industries, Poultry Farms, Processing Industries, Schools, Colleges And Textile Industries. We Green sign ISO 9001 Certified Company, are pleased to introduce ourselves as a designer, manufacturers and suppliers of Water and Waste Treatment Plants, Pumps and Pumping Systems, Solar systems, Rain water Harvesting, Swimming Pools and Control panels. We design and supply the complete suitable system as one skid, as per the enclosed specifications. Unlike commercial suppliers offering the default systems and prices but we design and offer the price of the RO Plants, ETP, STP, and WTP only after studying your raw water chemistry. 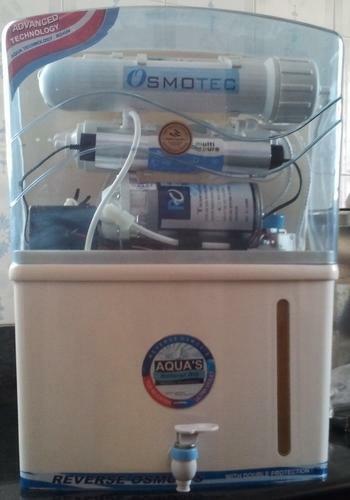 So, for the raw water availability, the system would be customized and thus perfect solution to the clients is ensured. We are sure that our price of our products would be very competitive in whole India, without compromising any quality and service. Instead, for ensuring the quality, you can compare our BOM of the plant and the BOM of the plant offered in the market. We have completed more than 3700 RO Plants in government and private sectors and 50 waste water treatment plant projects towards getting environmental clearance from all over Tamil Nadu and other states – Power plants, Sugar, Distilleries, Mines, Airport, Pharmaceuticals, Chemicals, Foundries, Electroplating units, Steel plants, Industrial park, I.T. park, Residential complex, Commercial complex, Hotel Etc. Beyond the business, we offer consultancy service for water problems & pumping systems, at free of cost. We also do projects and supply of equipments for all kind of water treatment and pumping systems. For your needs of completer water treatment and pumping solutions. We adopt high-quality raw material & advanced technologies in manufacturing process. Our products are widely acclaimed for their low maintenance cost, high contaminant holding capacity and long working life with good flow. Quartz sand-Sylex-Natural Pebbles-Activated carbons , Water softening plants , De-mineralized plants , Reverse osmosis plants , Effluent treatment plants , Sewage treatment plants, Water and Wastewater treatment plants, Hydro pneumatic systems, Pressure boosting systems, Hot cold normal water dispensers, Water Level Controllers, Solar- Water heater - Pumping Systems – Power Plants, Control Panels –Pumps-Rain Water Harvesting. kindly forward your enquiries.